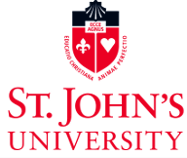 This campaign ended on June 03, 2017, but you can still make a gift to St. John's University by clicking here! Each year, the Black Alumni Association will come together to raise $5,000 during St. John's University Grand Alumni Homecoming Weekend. We are including a friendly twist. While raising funds, we are looking to recognize the DECADE that has the most number of donors (including donations from their friends and family). Which DECADE will be recognized at Homecoming 2k17?